We went to New Mexico last month! My wife is a teacher, and her spring break was at the beginning of April. We used that as an excuse/opportunity to travel to Santa Fe, which we were both interested in visiting. Our plan was straightforward; we would hike and we would eat, taking plenty of pictures along the way. I have a particular camera for vacations: An autofocus 6x4.5 medium-format rangefinder, made by Fuji. With 15 exposures per roll of film and fairly large negatives, it's perfect for sightseeing. I brought it along to New Mexico, where it got a lot of use. 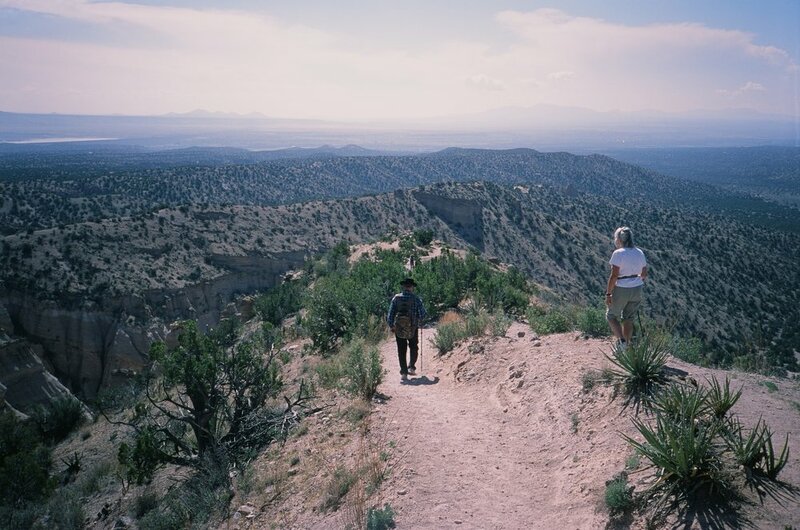 These photos are from my first two rolls of film in the Santa Fe area. 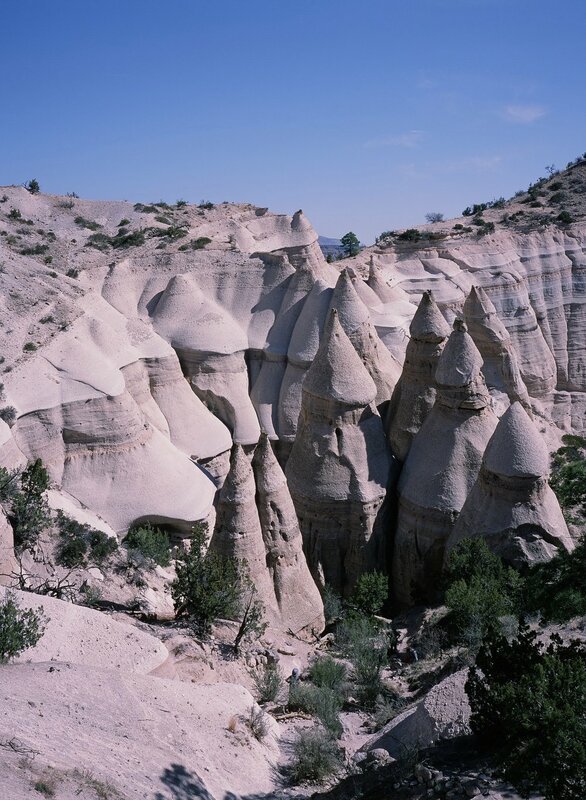 They were taken during a three hour hike of the tent rocks, a well-worn but still fantastic sight about 45 minutes from the city. For the color shots, I used Fuji Provia, for the black and white, I used Kodak T-MAX 400 and a a yellow-orange filter to darken the skies. There's also one photo from the 35mm point and shoot I brought with me. My favorite shot is the first one in the slideshow. It's of one of the narrow passage ways you have to walk through to get to the main climb. The light kind of creeps in, illuminating the formation and revealing the many layers of rock. By the time you reach the foreground, the shadows are dark, but there's still detail. Nothing quite goes to black. I like it quite a bit.